When now-former Rio Grande City Municipal Judge Leonel Lopez Jr. pleaded guilty to federal bribery charges less than two weeks ago, he automatically lost his job with the city. 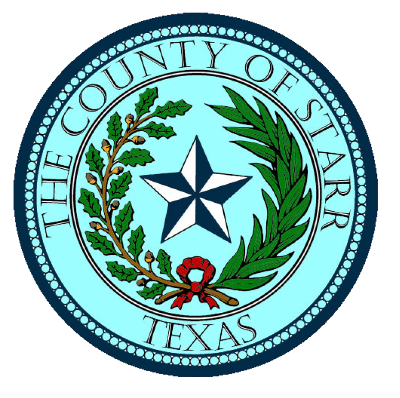 Starr County commissioners, however, pondered whether Lopez should keep his newly acquired position with the county. Following Lopez pleading guilty to his role in a bribery scheme relating to Weslaco’s water treatment facilities, Starr County Judge Eloy Vera met with county commissioners about possibly defunding the position. But Vera said he received little support. Vera said he had not been in favor of keeping Lopez since he had not yet served the sentence for his conviction. Lopez was serving a two-year term as the municipal judge for Rio Grande City when he pleaded guilty to a bribery charge stemming from a plot to bribe two Weslaco city commissioners in exchange for awarding contracts to specific companies for work on the city’s water treatment facilities. During his re-arraignment hearing on March 22, Lopez told U.S. District Judge Ricardo H. Hinojosa that he had accepted a job with the county in anticipation of his resignation with the city. After news broke of Lopez’s guilty plea, Commissioner Ruben Saenz, who represents Precinct 4, confirmed he had hired Lopez as the programs department manager for his office and said he saw no reason why it would affect his position with the county. Neither Saenz nor Lopez could be reached for comment. Commissioner Raul “Roy” Peña III, commissioner for Precinct 2, offered little on whether Lopez should maintain his job with the county, saying he was not very familiar with the situation and was preoccupied with other matters in his precinct. However, Precinct 3 Commissioner Eloy Garza was strongly opposed to defunding the position. “We cannot be interfering with any commissioner employees because then everybody can just come and fire my employees, which is not right,” Garza said. If the county were to fire Lopez because of his conviction, Garza wondered what the county would do with those other employees. “That would be discrimination in my opinion,” he said. Garza also pointed out that one of the conditions of Lopez’s release was that he seek or maintain employment, adding that he wasn’t opposed to Lopez working at the county if that was what Saenz desired.